When we go camping, we often stress the fact that we will need some sort of lighting. Without lighting, you are subjected to utter darkness, unless you have a fire. Most people in the southern hemisphere prefer choosing to make a fire for lighting, and torches seem to be enough when a light is needed. However, if you have children or if an emergency occurs, having optimal lighting will make it easier to sort the problem. 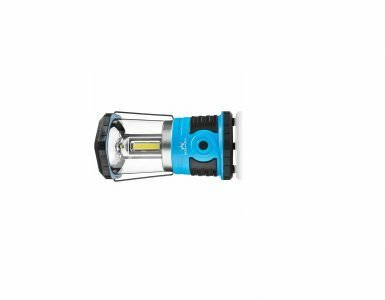 The Image Portable LED Camping Lantern is a state of the art lighting device that gives you optimal lighting throughout the night. It is really simple to use and while small, it packs a massive punch. Using this lantern gave me new insight and I had the opportunity to test some of the features. In this article, you will be able to understand how it works. The technical specification might make this lamp seem like one of the best on the market today. This was one of the first things that led me to believe something must be wrong elsewhere. However, after purchasing it, the lamp works exactly as it should. It might be slightly smaller than you imagine, but this is beneficial and won’t take up too much packing space. The 2D cell batteries are common and you can find them virtually anywhere. Tests have shown the lamp to offer up to 37-hours of battery life when used at max, but only 16-hours when the fan is used as well. When it comes to the fan, there are numerous settings you can play with. These settings will have an effect on the drainage of the batteries, but it keeps you cool in hot summer weather. We used it with the hanging hooks to be mounted from the top of the tent, but if your tent does not allow you to do so, it can be used on a table as well. It is claimed that the light is made from military grade materials, but this can mean a lot of things. All we can say is that after falling, it does not seem to have any damages. Since it is also weather resistant, you can use it with light rain, but you should not expose the lamp to heavy downpours. 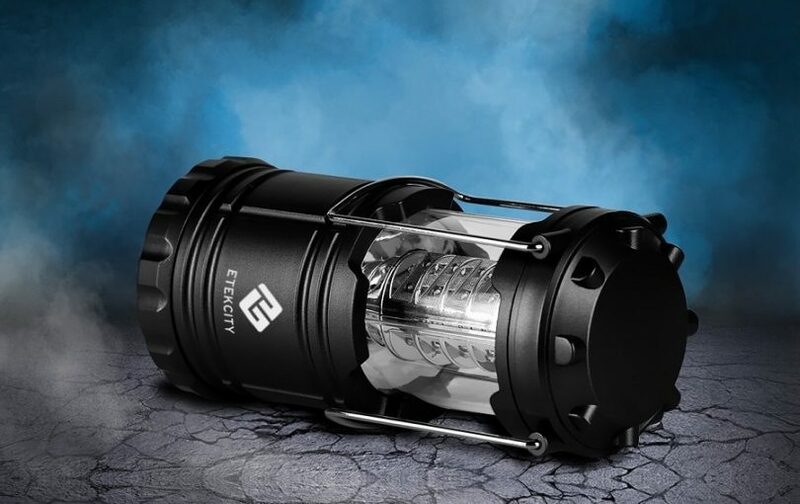 Instead of using just one lighting source, the Image Portable LED Camping Lantern includes 18 LED bulbs. This means that should one of them die, you can still rely on 17 other small LED bulbs to keep your lighting power at a maximum. With 2 switches, you will need to get used to which one is the fan and the light. Nothing can be more frustrating than trying to turn on the lamp, only to accidentally turn on the fan in the cold winter months. If you plan on using this lamp in larger tents, you might find that it does not work well when it comes to keeping a large area cool. However, the design is made for smaller tents that can house 2 people. Another fatal flaw we found is the fan does have a high setting, but this does not mean the air output is really high. You might still need a special fan to keep you cool when going out in the hot summer months. If you are looking for something with decent features at a really affordable price, this is definitely a great buy. However, avid campers and outdoor adventurers might need something a little better with more advanced features. For lighting purposes, we would highly recommend it, but in the summer months, you should buy a separate outdoor fan like the Coleman Battery Operated Fan. Overall, I would certainly recommend this camping lantern to any beginner looking to build their kit for future use. We could not find any real warranty that is included, but the price does make it worthwhile. We used the lantern ion the house as well when the power went out, making it a versatile buy to have in your kit. A camping lantern is something that you always need. 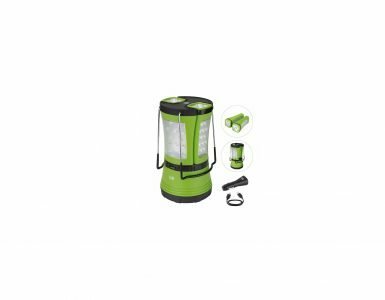 Yes, making a fire is fun, but when the weather does not make it possible, your Image Portable LED Camping Lantern will be your best friend. As we have already mentioned, the price is definitely worth it and you will eventually find some use for it. Having one and testing it, gave me the knowledge to recommend it to anyone. We would like to thank you for reading this article and encourage you to share some of your thoughts on this lantern. If you have ever used, it shares your experience with us and we look forward to finding out what you think.